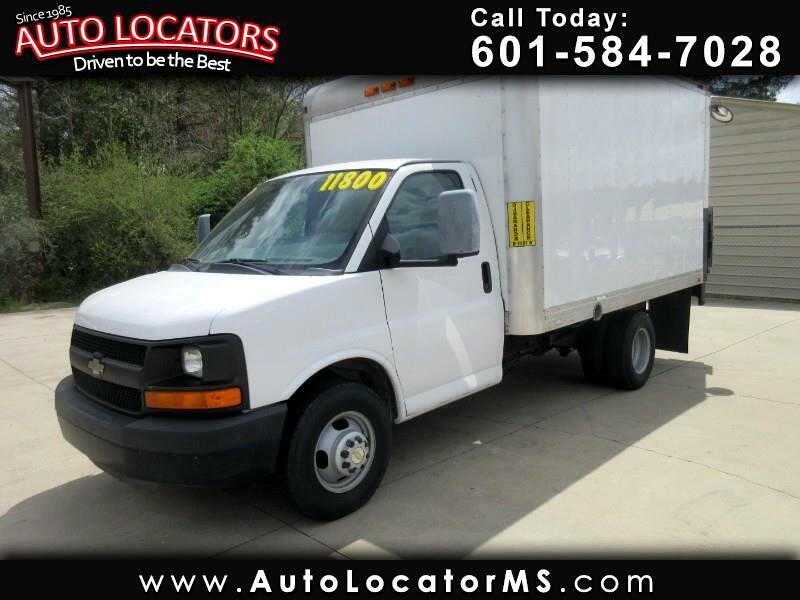 2012 Chevy 3500 Box Truck: PRICE REDUCED WELL BELOW DEALER COST!! Less than 100k miles and drives out very well. The box measures 12' x 12' and has a Tommy Lift gate. *Note: the rear roll up door has been removed. Price w/o door. However, we priced a new door and it is $850. Truck has gas saving 4.8 liter V8. This is a BARGAIN and the truck will sell quickly so call us at 601-584-7028 to schedule your test drive today! Message: Thought you might be interested in this 2012 Chevrolet Express Commercial Cutaway.